Great Tastes Tuesdays! 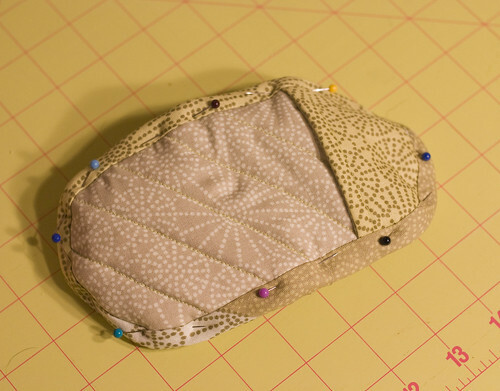 : Hot Pads! I received a set of these from a friend when I graduated high school! 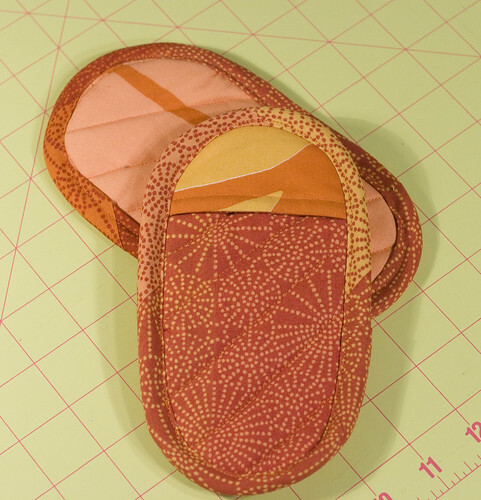 hot pads to use in the kitchen! found them. I have been working on some this past week and they are a lot of fun to make. They are pretty simple and don't take too long to make. This could be a fun Christmas gift, birthday gift, wedding gift, graduation gift, or any kind of gift you want it to be. Have fun making it! Instructions for a Fun Christmas Gift! 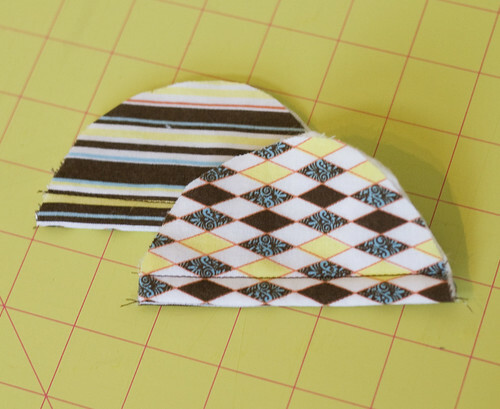 They can be all the same fabric or all different, depending on your preference. 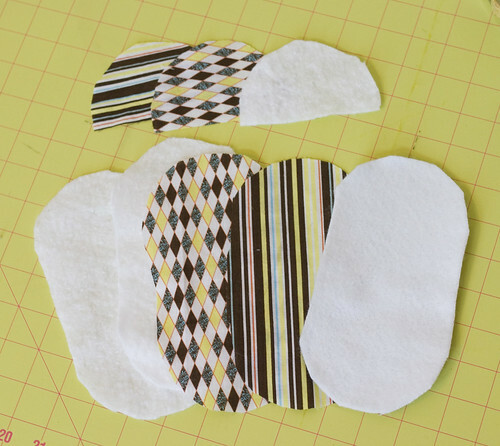 Here are pictures of the pieces for just one pad. 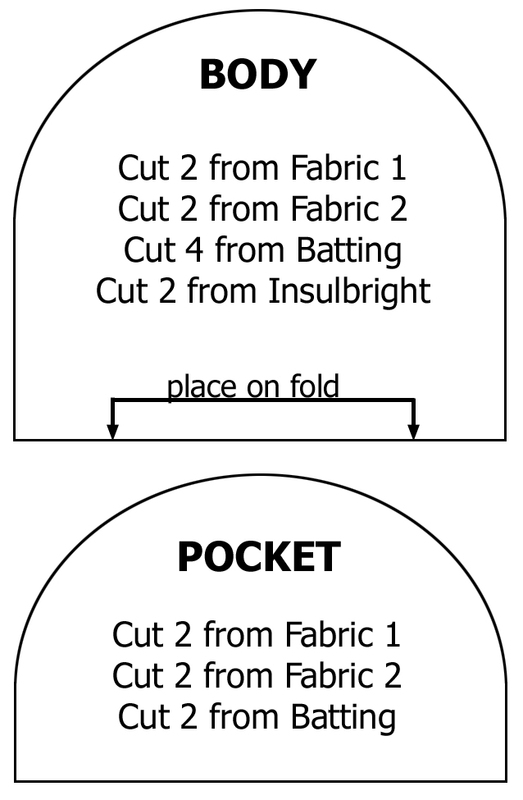 Take one of each of the POCKET pieces. 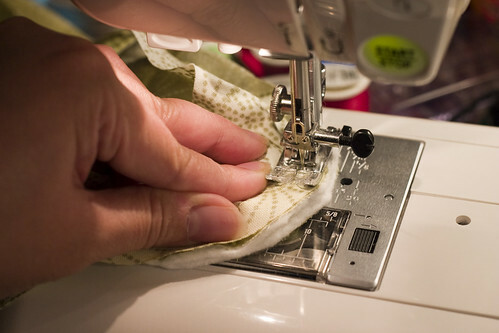 Place the fabric RIGHT sides together. Then take one piece of batting and place on bottom. 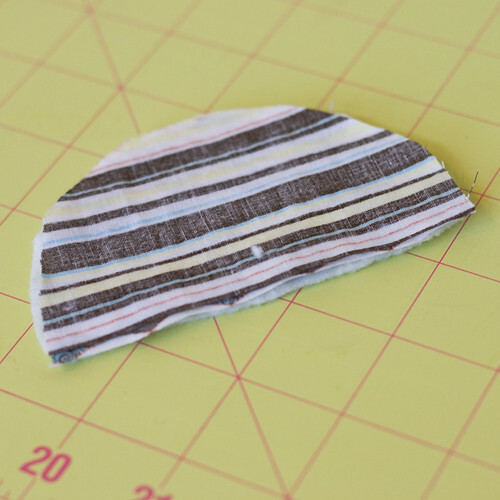 Stitch along the straight edge, leaving a 1/4" seam allowance. Turn the right sides out, and press. 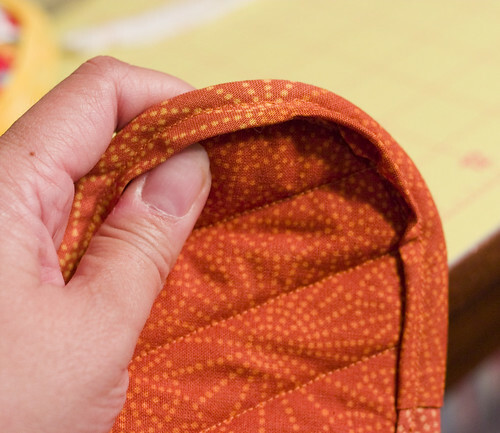 Top stitch along the bottom, leaving a 1/4" seam allowance. Set aside. Quilt together. You can do this however you prefer - straight lines, criss-cross, swirls, circles, etc. 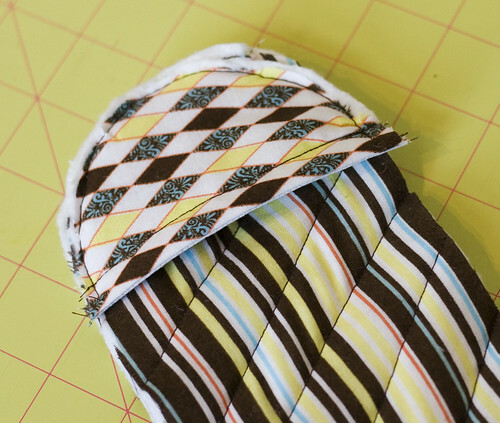 You may want to trim the edges after quilting. 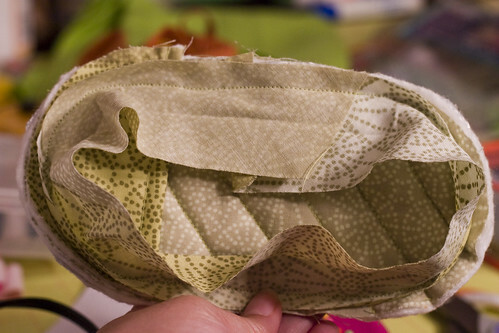 Baste the pocket piece along one end of the body. 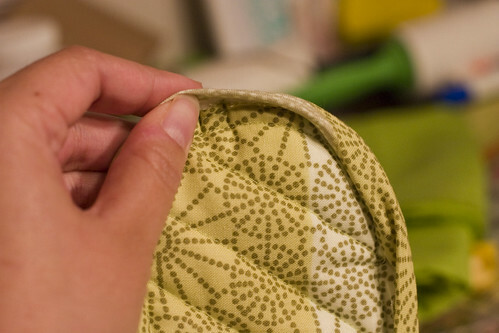 The key is, when you're folding the binding over and stitching the second time, you want it to be folded over just enough to catch the back edge, but you don't want it folded so far over that you end up with a flap, like this. After folding it over, pin it like crazy. Once that's done, you have hot pads!